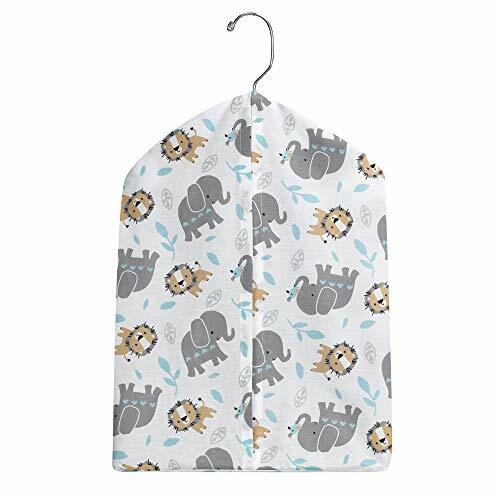 This coordinating diaper stacker features adorable safari animals tossed on a white background. It is 16" high and 11" wide and holds approximately 30 diapers. Comes with a swivel hanger. Cotton poly blend. Imported. 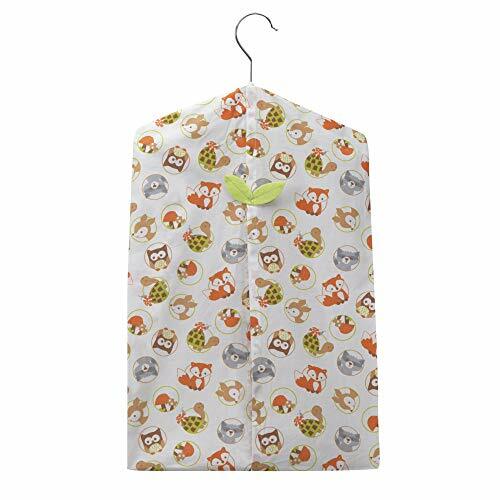 Carter's monkey collection diaper stacker. 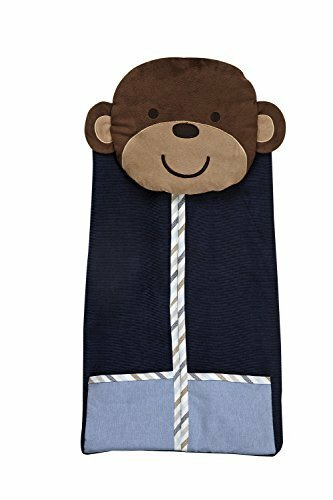 Features plush monkey head detailed dimensional in shades of brown and blue. Soft corduroy with chambray storage pockets. Stripe trim. Helps keep your nursery organized. 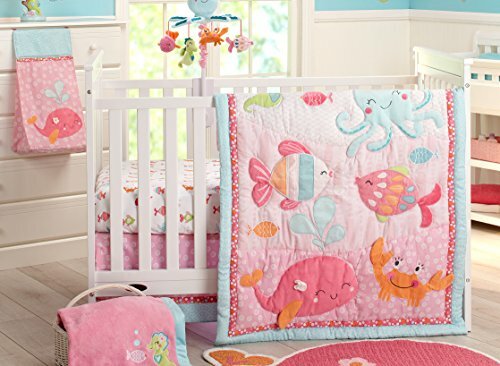 Coordinates with Carter's monkey collection infant bedding. 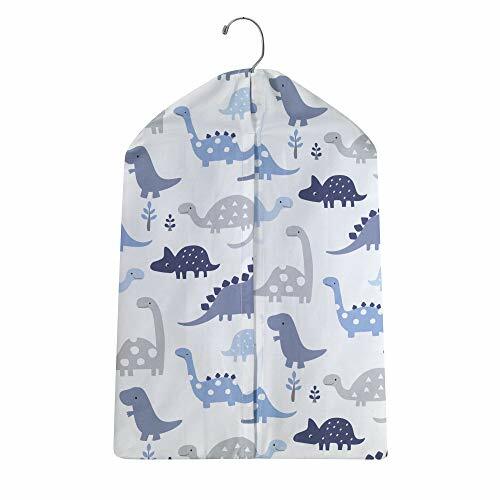 This white ground diaper stacker features a variety of dinosaurs in blue and grays. It is a cotton poly blend and is approximately 11" x 16". It comes with a swivel hanger and holds approximately 30 diapers. Imported. Keep your diapers organized, concealed and close at hand with the Jazzberry Diaper Stacker from Waverly Baby by Trend Lab. 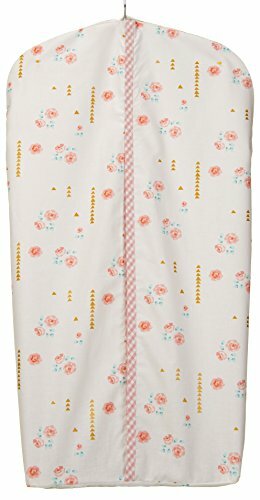 Diaper stacker body features Waverly's refreshing floral print in the beautiful color combination of marshmallow white, carmine and cerise pink, moss green, Abbey stone and dune sand with Waverly's optical delights print across the top and trim. Ties allow for easy attachment to most dressers and changing tables. Measures 12" x 8" 20.25" and holds up to three dozen diapers. 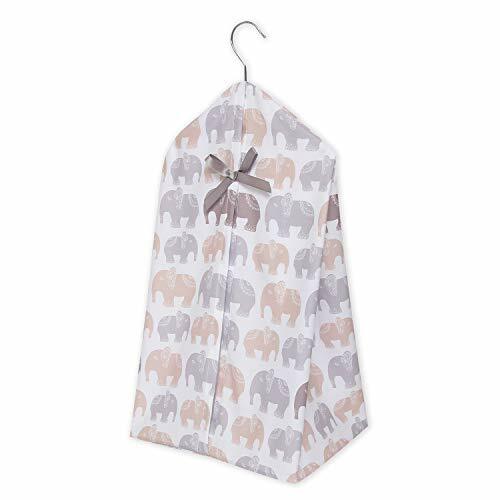 Complete your nursery with coordinating room accessories from the Jazzberry collection from Waverly Baby by Trend Lab. 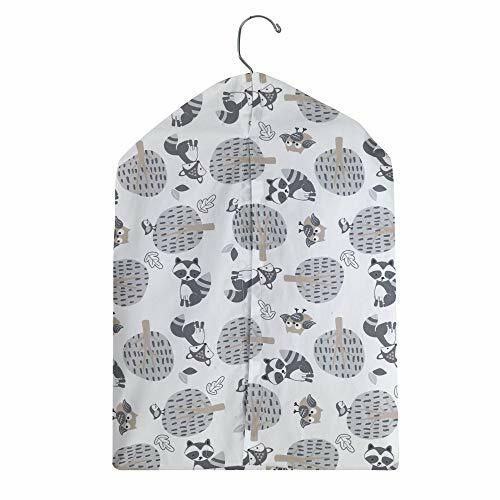 This white ground diaper stacker features a variety of different shaped trees along with silhouettes of everyone's favorite lovable bear, Winnie the Pooh. It measures approximately 11" x 18". Includes a swivel hanger and holds approximately 30 diapers. 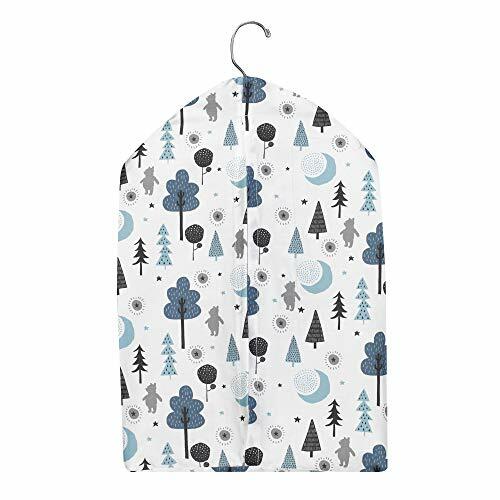 This white ground diaper stacker features a variety of woodland animals and trees in a neutral color palette. It is a cotton poly blend and is approximately 11" x 16". It comes with a swivel hanger and holds approximately 30 diapers. Imported. 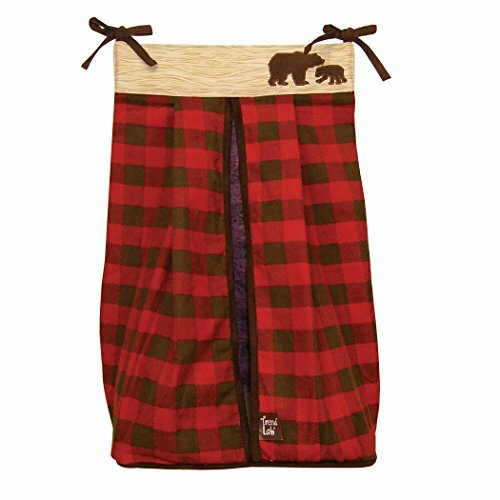 Keep your diapers organized, concealed and close at hand with the Northwoods diaper stacker by Trend Lab. Diaper stacker body features a flannel buffalo check in deep red and chocolate brown. A coordinating oak and flax wood grain print top and chocolate brown trim and ties complete this convenient storage option. Ties allow for easy attachment to most dressers and changing tables. Measures 12" x 8" x 20.25" and holds up to three dozen diapers. 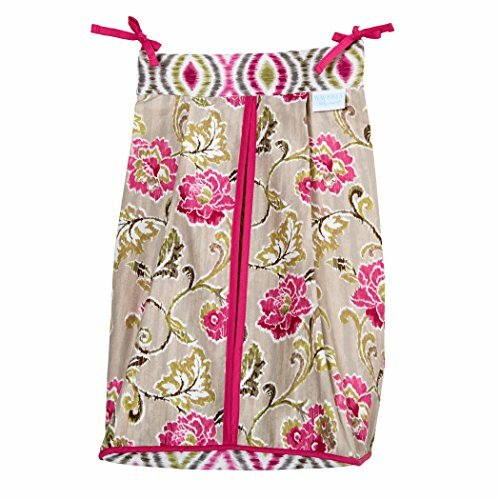 This diaper stacker coordinates with the Northwoods collection by Trend Lab. 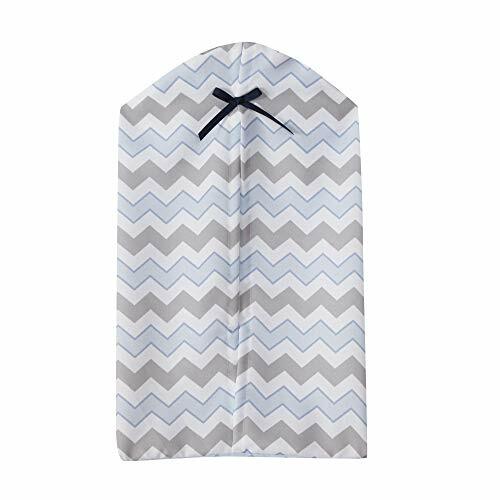 Our chevron diaper stacker measures 12" x 21" and features the chevron print with a blue ribbon. Comes complete with hanger and will hold approximately 20 diapers. Care instructions: machine wash cold with like colors in gentle cycle, do NOT bleach, tumble dry low, and iron on lowest setting as needed. This Friendly Forest Collection by Bedtime Originals features a gathering of charming woodland animals. Our friendly raccoon is appliqued in a soft minky fabric in two shades of gray. Rolling hills, colorful leaves, and our playful characters add to this happy nursery. The Peanut Shell Uptown Giraffe Nursery Collection features a tailored contemporary design with a combination of unique graphic prints in a fresh color-way of light and dark gray, crisp white, and minty aqua. This collection will create a stylish and comfortable nursery for your baby. Crib set includes quilt, dust ruffle, fitted sheet, crib bumper and diaper stacker. Keep your diapers organized, concealed and close at hand with the lily diaper stacker by Trend Lab. 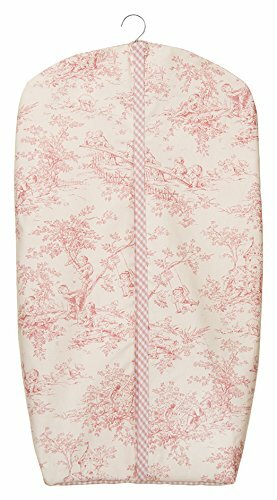 Diaper stacker body features a circular lattice print in poppy pink and white. 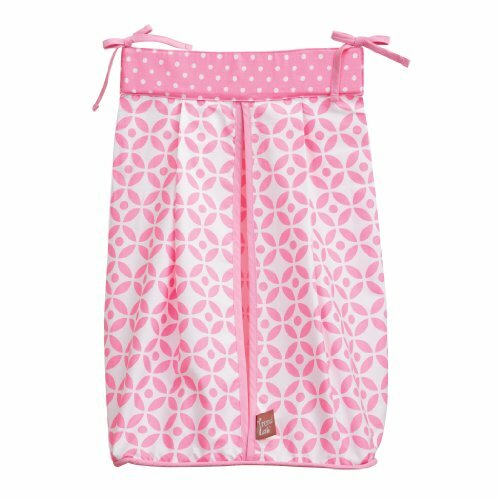 A coordinating dot print top and pink trim and ties complete this convenient storage option. Ties allow for easy attachment to most dressers and changing tables. Measures 12" x 8" x 20.25" and holds up to three dozen diapers. This diaper stacker coordinates with the lily collection by Trend Lab. No diaper ends up smelling like roses; but until that eventuality, the Nurture Garden District Diaper Stacker will neatly hide your child’s unused stash of diapers in an adorable garden-themed container. This decorative diaper stacker is able to store 24 to 48 diapers depending on their size. And two handy external floral pockets allow you to keep extra accessories on hand right where you need them most. The pink-and-white scrollwork pattern and floral accents are designed to neatly dovetail with Nurture’s Garden District bedding collection. Made from super-soft 100% cotton with a textured gray jacquard trim, this diaper stacker can be hand washed and line dried to keep it looking like new. Keep your baby's diapers tucked away for future use when you put them in the Lambs & Ivy Bedtime Originals Sail Away Baby Diaper Stacker. Its colorful appearance will be a delightful addition to your baby's room. The Lambs & Ivy diaper stacker coordinates with other items in the Sail Away collection (all sold separately). Its pattern of stripes and dots on the front is eye-catching, and a ribbon decorates the top part. The diaper stacker organizer can be easily cleaned for repeated uses. It is made from a cotton and polyester fabric, exclusive of the decorations. Have a safe and convenient way to store diapers thanks to the Lambs & Ivy Bedtime Originals Sail Away Baby Diaper Stacker. Accommodate and organize all of those diapers with Gund's Flower Diaper Stacker. Combining form and function, the pastel colors and flower designs compliment any room, with a hanger that makes storage easy anywhere. A great gift for any mom that has a young one in diapers or new mom.